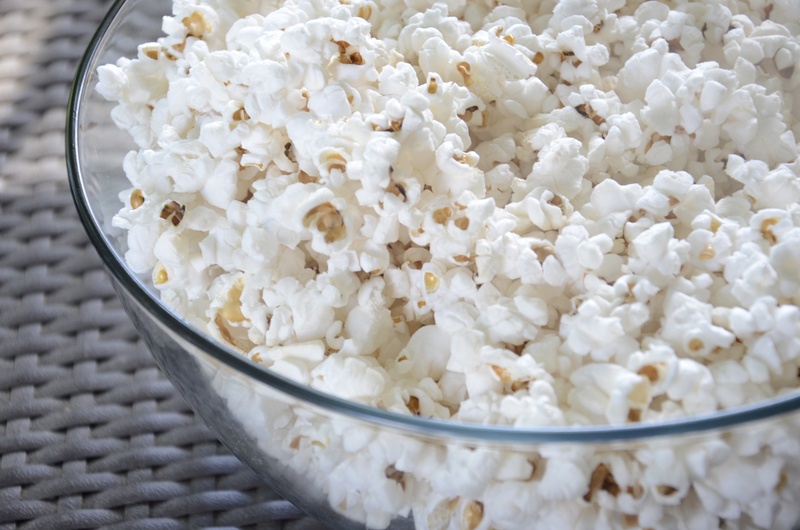 Why do we eat popcorn while watching movies? The answer, for most, is that eating popcorn is a habitual response to watching movies. Psychologists define ‘habitual’ behaviours as actions that happen automatically, due to learned associations between situations (the movie theatre) and our responses to them (eating popcorn). Habit associations develop when, in response to a specific situation (arriving at the movie theatre), we consistently do something (eating popcorn) that achieves desirable outcomes (pleasant taste). Over time, the association strengthens such that merely encountering the situation automatically triggers the action, without requiring us to think about what we are doing. By bypassing decision-making, acting habitually frees up mental resources for tasks more worthy of conscious thought. How do we learn habits? Researchers have been studying habit learning for over 150 years, but mostly in animals. Recently health psychologists have begun to investigate real-world habit formation and how it might promote healthy behaviours. One study showed that the first few repetitions of new actions prompted speedy gains in self-rated automaticity (i.e. habit strength), which slowed until a plateau was reached. Observational research has shown that many health-related actions, such as food choice, exercise, and binge-drinking, are done habitually, rather than thoughtfully. The evidence is mixed on this. One study suggested that on average habits form in 66 days, while another found that new gym-goers had to exercise at least 4 times per week for 6 weeks to establish an exercise habit. Either way, it’s probably not 21 days, an urban myth started by plastic surgeon Dr Maxwell Maltz, which we’ve busted elsewhere. However, the habit-formation question is not as clear-cut as it seems. There are no objective criteria for establishing the presence of habit, so it is impossible to say with certainty that one person ‘has a habit’ and another does not. It is more realistic to conceive of behaviours as more or less habitual, rather than ‘habitual’ versus ‘non-habitual’. This makes it difficult to reliably estimate the habit-formation duration. The good news, though, is that participants in intervention studies doing new actions daily tend to report that those actions become ‘second nature’ or ‘part of their routine’ within two weeks. How can we use habit to change behaviour? Habit formation has important implications for changing behaviour, because habits are thought to persist over time. The surprisingly few studies to have used habit formation as a strategy for promoting healthy actions have produced promising results. For example, parents who received advice on how to form habits for feeding their young children a healthy diet (fruit and vegetables, healthy snacks, water) reported forming healthier feeding habits, and improvements in child dietary quality, eight weeks later. An intervention promoting the integration of light physical activity habits into normally-seated routines was found to decrease sitting time, and increase walking and moderate activity, among community-based older adults. There is a caveat to all this. What does it really mean to say that an action is ‘habitual’? If, say, someone reports ‘doing 30 minutes of physical activity without thinking’, what do they mean? We rarely find ourselves having completed 30 minutes of activity having had no awareness of what we were doing. We’ve recently proposed that there are two ways in which any action can be habitual: we can habitually ‘decide’ to do something (this is ‘habitual instigation’), or habitually ‘do’ something (‘habitual execution’). Habitually ‘deciding’ to exercise (where a situation automatically triggers an impulse to start exercising) predicts how frequently people exercise. However, having a habit for ‘doing’ exercise in a routine way, so that one part of an ‘exercise’ routine (e.g. finishing using the treadmill) triggers the next part (using free-weights), does not predict how often people exercise. Practitioners should consider incorporating habit principles into behaviour change advice. There are several ways to do this. Repeat the behaviour consistently. Practitioners should recommend that people repeat an action consistently in response to a situation. This is how habit associations form. Choose a specific behaviour and a specific trigger. When forming habits, ensure that the selected action is well specified, and the chosen situational trigger is frequently encountered. It is unhelpful to form a habit for doing something in response to a trigger that only occurs yearly, for example. Make sure the behaviour is something that you want to do. People tend to persist more at pursuing actions that they have freely chosen to do, rather than those they feel pressured to do by others. Start with simple behaviour changes. Simpler actions may become habitual more quickly than more complex actions. Keep expectations realistic. Be clear on exactly what people can expect when behaviour becomes ‘habitual’. Forming a habit is best seen as like setting an internal reminder to do something in an appropriate situation.